There was a time not long ago that you couldn't even get AT&T-compatible Straight Talk SIMs due to a mysterious shortage. Well, things have certainly turned around. 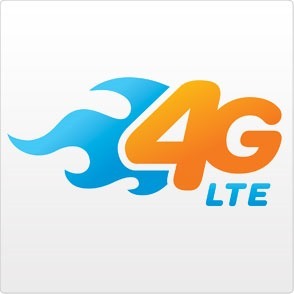 Straight Talk has just started listing 4G LTE service for AT&T devices. You can break free from the traditional carriers, save some money, and still keep your LTE data. That's a deal. Straight Talk offers monthly plans starting at $45 with "unlimited" data. Straight Talk will throttle heavy users after a few gigabytes of data, but the price isn't bad. AT&T's Aio national prepaid service is slightly more pricey. There is no additional charge for LTE data – the SIM cards should just work. However, it isn't clear if older SIMs will need to be replaced, or if this is a network update. T-Mobile service on Straight Talk is still just 4G, indicating HSPA+. T-Mobile's LTE network is still in its infancy and probably doesn't have spare capacity to let MVNOs use. The magenta carrier does have an in-house prepaid option with LTE, though. Update: Existing customers with LTE-capable devices will need to buy a new SIM card and move their number over, according to Straight Talk.